A team of researchers has identified a more than 2,000 year old ivory astrologer’s board which was found in Croatia, in a cave overlooking the Adriatic Sea. 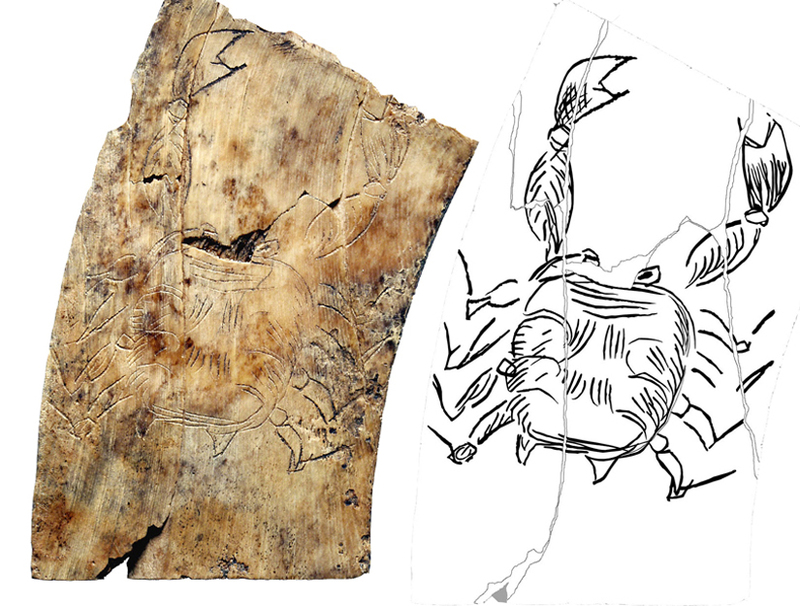 The 30 fragments of ivory engraved with zodiac signs would have been part of a board used to determine a person’s horoscope. In 1999 archaeologists discovered a sealed off section of a cave they were studying led down a wide low passageway for nearly 10 meters (33 feet) before opening up into a cavern. Inside the cavern they found, scattered around a phallic-shaped stalagmite, a number of drinking vessels, deposited over hundreds of years. While excavating the site, a number of small pieces of ivory were discovered. During the next 10 or so years the team studied recovered more sections and pieced them together, eventually realizing that they had the remains of the oldest-known astrologer’s board. Although the researchers are not sure where the board was originally made, they suspect that the ivory came from an elephant which according to radiocarbon dating, died around 2,200 years ago.